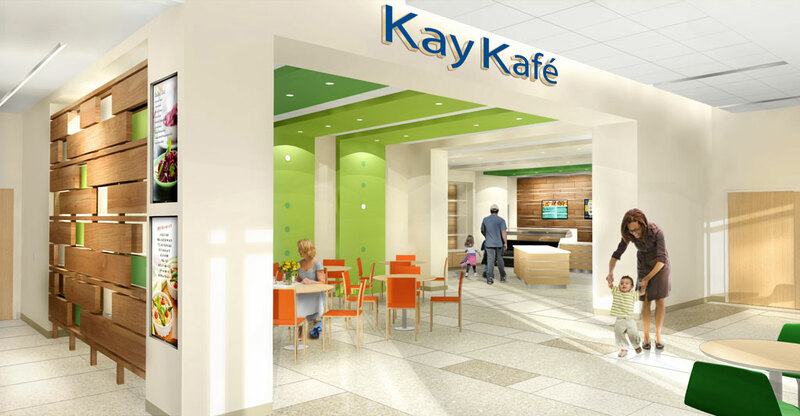 Rendering of the Kay Kafé. What would a backyard be without a light and airy spot to relax and have a bite to eat? In keeping with the “backyard” theme of the new building, Akron Children’s has created a dining area that resembles a “garden patch,” with a color scheme featuring bright greens, oranges and reds, reminiscent of growing vegetables. “The floor plan and furnishings are designed to resemble garden boxes and raised garden beds with rows of vegetables,” said Marge Zezulewicz, an architect with Hasenstab Inc. Located on the first level on the north side of the new building, the tables will be placed along the windows on the exterior wall, giving diners a view of the amphitheater and bringing the outside in. A door provides easy access to the park. The café will be open morning to mid-afternoon, but as the building reaches its full capacity, the café has the ability to grow to meet the expanding need, as do the food prep and sanitation areas adjacent to the dining room. Following the lean design approach used for the other areas of the building, Food Service held mini-workshops to create the concept, design the space and work out the flow. 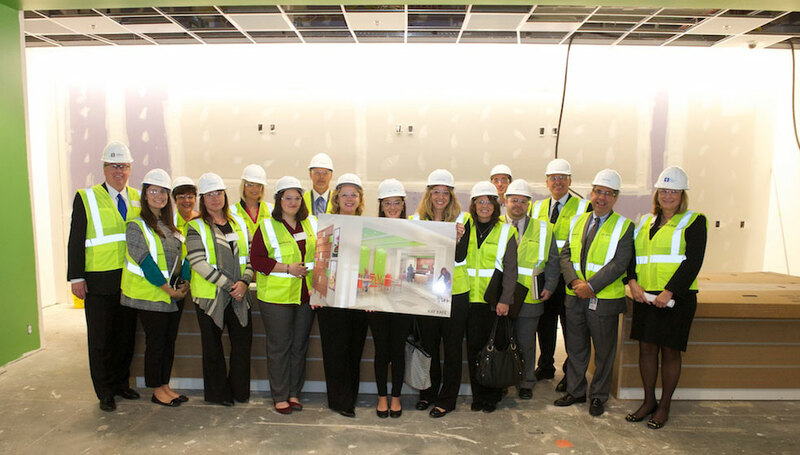 Kay team members recently toured the new building and stopped at the site of the future Kay Kafé. 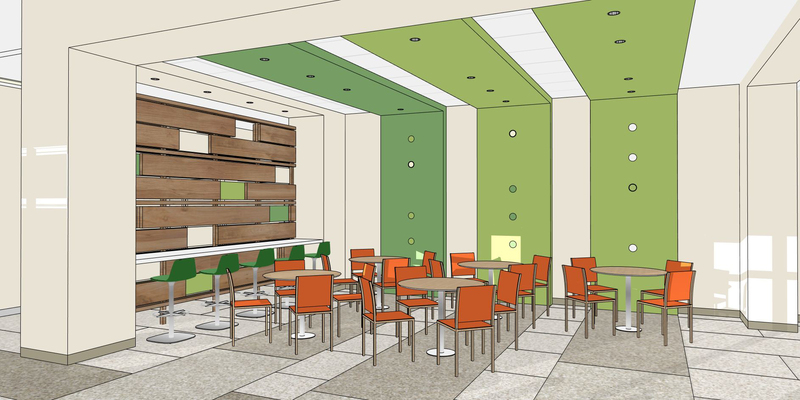 In addition to the café, Food Service will have a role throughout the new building with healthy snack vending machines on each of the floors, complimentary food trays for breast feeding moms in the NICU, and guest trays for purchase for in-room or patient floor lounge dining. “Food trays will be prepared in the main hospital kitchen, where they are assembled, then transported to the new building using a new delivery system that will hold the food at an optimal serving temperature for over an hour,” Fleck said.